18 years in business and thousands of images created. Passionate about animals, photography and capturing the moment. Thankful for all the wonderful families and cherished members I’ve photographed. Blessed to share my life with eleven rescue dogs, one cat and 9 chickens! Enthusiastic about my small business and continuing to meet new furry, feathered or scaly friends! Hello, I’m Angela Nicole Stehl and I’m the artist behind Pooch Smooch Photography. I’ve always had two loves in my life, photography and animals. I’m lucky to have found a way to combine both. My love for pet photography started a long time ago when I was given my first camera at the age of 12. I began to take photos of my collie, Casey. He was the spark that lit a flame in my heart and soul. Casey showed me how to appreciate the beauty of sharing your days with a furry friend by your side. In those early years I realized my calling in life. His love and companionship was a true gift and had an enormous impact on the woman and artist I would become. I’ve been blessed with the ability and creativity to transform my passion into a successful photography business. I graduated with honors from the Art Institute of Philadelphia with a degree in photography. It didn’t take long to realize I was happiest photographing animals and capturing each unique personality along with the bond they share with their families! I’m able to express my creativity and have fun doing exactly what I love. Since beginning Pooch Smooch Photography I’ve had the pleasure of working with so many wonderful furry, feathered or scaly family members and their people. I’ve been published in several magazines and books. I’ve appeared on live television to share my images and talk about what I do. I’ve given speeches on pet photography and the way I go about documenting each special moment. How do I get such great photos of animals? I’m often asked this question. I look at each new subject with patience and the understanding that we will both be learning something new from the experience. My hard work and calm approach create moments together in an un-stressful environment for all involved. Timing and understanding have a lot to do with the images I capture. I’m always up to the challenge of photographing an animal whose family thinks will never sit still long enough for that perfect shot. You will be amazed at what we can accomplish with patience and the right motivation. I hope you have enjoyed the gallery. I look forward to creating a wonderful photograph of your furry, feathered or scaly family member. Animals are not our whole world, but they certainly make our world whole! I look forward to meeting you and your loved ones! 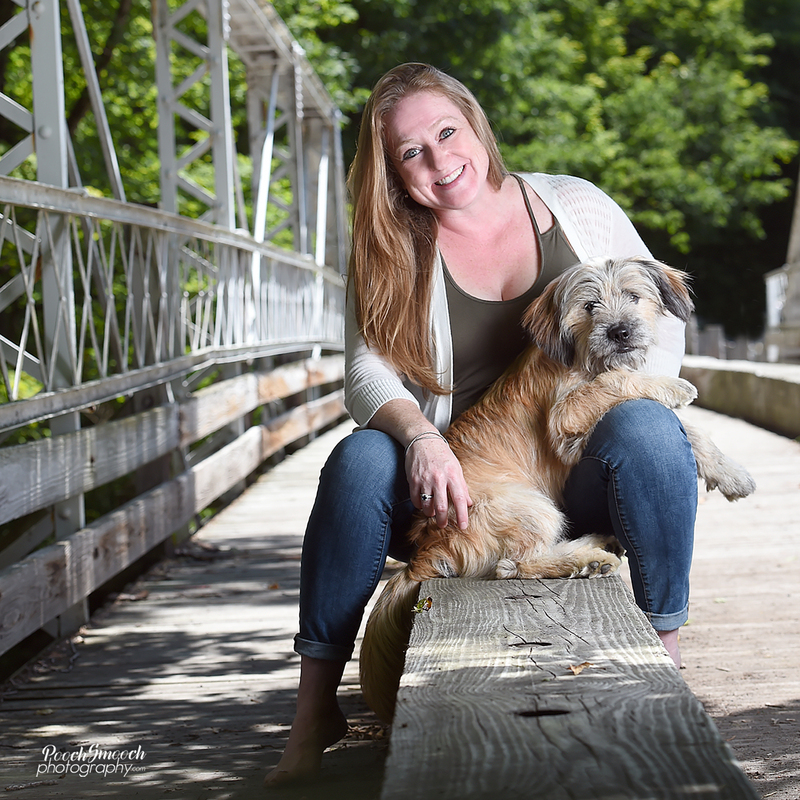 For scheduling and information on Pooch Smooch Photography, please contact me – Angela Nicole Stehl, by phone:610.349.9200 or by email, angela@poochsmoochphotography.com or feel free to use my contact form. Create a lasting memory of your furry family member! Call 610.349.9200 to schedule your appointment.